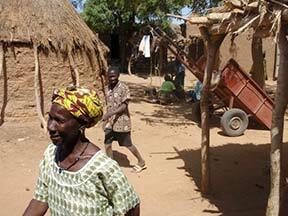 Let me tell you the story of Shea nut cooperatives in Mali. 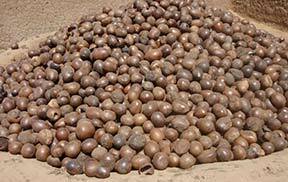 Shea nut is a tree fruit that grows naturally in the wild and traditionally women have been responsible for harvesting the nuts and processing them - basically through shelling them boiling the kernels to extract the oil, then processing the oil into what's called Shea nut butter. The oil and butter are used in cosmetics, in medicines, and importantly they are used in many traditional food dishes. Now, over time, development organisations began working with these women to see if they could help them form producer groups and shea nut cooperatives, and turn shea nut into a modern commercial enterprise controlled by women, where they could get a much higher return for their skills, knowledge and labour. The first, and most successful of the cooperatives, decided to try to remove itself from dependence on development organisaitons for working capital. The cooperative’s leaders approached the banks in the capital city and were shown the door every single time. The women asked for the help of Mamoudou Traoré. Amadou Sidibé and Fadiala Dembelé , researchers who were working with the cooperative at that time. And the women said ‘you go to the banks and ask for the loan on our behalf’. Now the first bank that these gentlemen went to, also showed them the door. The staff said, ‘Look, this crop is not a commercial crop, it is just a little something that women do. We don't see any possibility of getting a financial return if we give you this loan’. Eventually one of the researchers thought, ‘mmm, I know there is somebody from my own ethnic group working in one of the micro-finance organisations and the politeness of our relationship means he won't be able to show me the door. He'll have to listen’. So that's the one they ended up getting working capital from. That is, the men found the way by using their own social and cultural relationships in order to support the women . And it’s turned out extremely well. 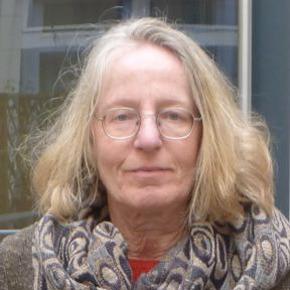 The cooperative took the first loan and they’ve repaid it twice, and they now are able to deal with the micro-finance organisation directly without any outside help. This step has enabled them to develop a financially independent cooperative based on commercial enterprise, that is beginning to serve the domestic market but also the export market. Improvements to product quality, improvements to the technology used, have enabled them to improve supply, warehousing and transport logistics, improve their own organization, management capability and the structure of the value chain. I think that's a very exciting and inspiring example of an entire new agricultural sector being slowly nurtured into the commercial market , in ways that deal effectivey with a range of gender related issues. Sidibé, A., S. Vellema, F. Dembelé , B. Témé, H. Yossi, M. Traoré and T. Kuyper (2014) Women, shea and finance: how institutional practices in a Malian cooperative create development impact. Special Issue. P. Struik and L. Klerkx (Eds.) Institutional Change towards sustainable agriculture in West frica, International Journal of Sustainable Agriculture 12(33): 263-275. 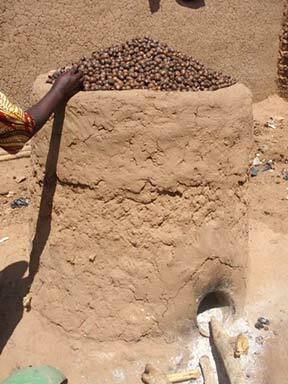 Sidibé, A.,(2013) Analysis of collective performance in the Malian Shea sector: from fields to markets. Published Ph.D. thesis. Wageningen. Wageningen University.